How my heart lights for you!!!! As I have mentioned I haven't been keeping up with my posting so this is a few months old. 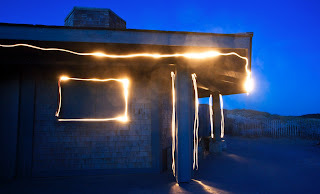 We took these images out on Cape Cod. 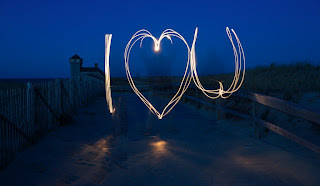 It's a simple matter of drawing around the building with a flash light or in the case of the "i love u" just writing in mid air. It help to have Kari there to control the exposure with a hat. Well it was just a bit of fun and I hope to incorporate this into some of my jobs.